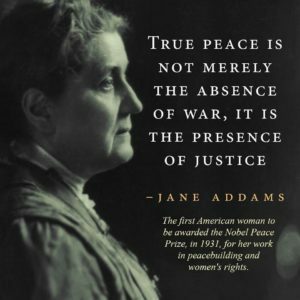 Jane Adams co-founded with Ellen Gates Starr an early settlement house in the United States, Chicago’s Hull House that would later become known as one of the most famous settlement houses in America . In an era when presidents such as Theodore Roosevelt and Woodrow Wilson identified themselves as reformers and social activists, Addams was one of the most prominent reformers of the Progressive Era. She helped America address and focus on issues that were of concern to mothers, such as the needs of children, local public health, and world peace. 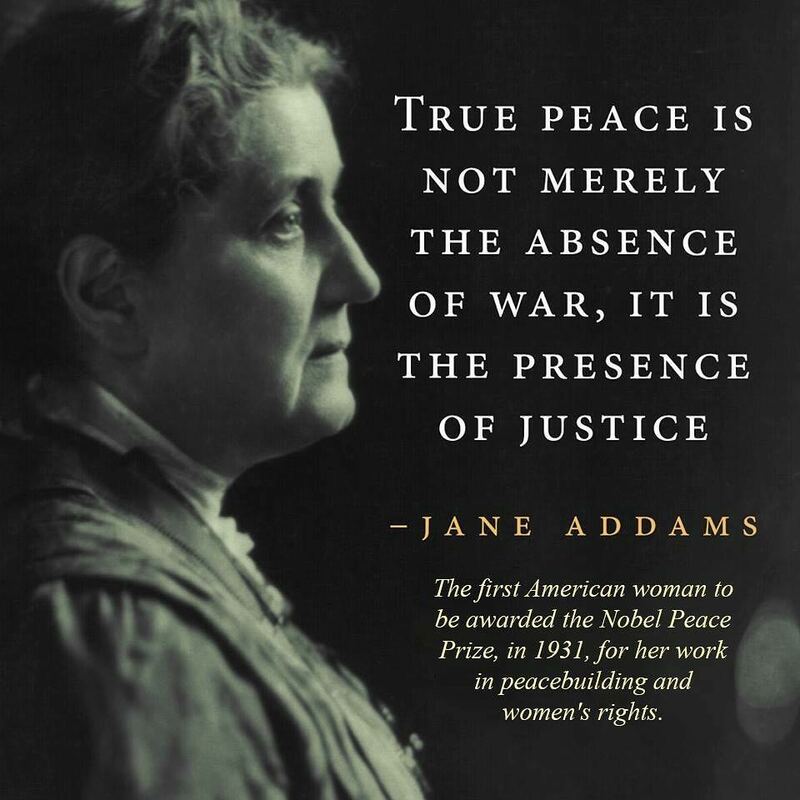 In her essay “Utilization of Women in City Government,” Jane Addams noted the connection between the workings of government and the household, stating that many departments of government, such as sanitation and the schooling of children, could be traced back to traditional women’s roles in the private sphere. Thus, these were matters of which women would have more knowledge than men, so women needed the vote to best voice their opinions. She said that if women were to be responsible for cleaning up their communities and making them better places to live, they needed to be able to vote to do so effectively. Addams became a role model for middle-class women who volunteered to uplift their communities. She is increasingly being recognized as a member of the American pragmatist school of philosophy, and is known by many as the first woman “public philosopher in the history of the United States”. In 1889 she co-founded Hull House, and in 1920 she was a co-founder for the ACLU.